This year, the festival attracted 62 Japanese tourists, including 25 troupes as famous artists and artisans from Sakai and Mitsuke city performing a tea ceremony, Ikebana flower arrangement, calligraphy, singing, and dancing. As per the schedule, traditional art troupe Suzume, dancing group Yosakoi from Sakai City, dancing teams Run to the World and Debeso, singer Shiho Rainbow and a kite art team from Mitsuke, besides rocker Fujii Youichirou, saxophone player Tajima Yoshikazu and rock band B D Badge will perform during the three-day cultural exchange. A workshop provided visitors with information about study and employment opportunities in Japan. It is being held in coordination with over 15 universities and Japanese language schools from the country. A Japanese eloquence contest, film screenings, singing competitions for Japanese employees and Japanese language students, and a Kimono fashion show were organized during the festival. 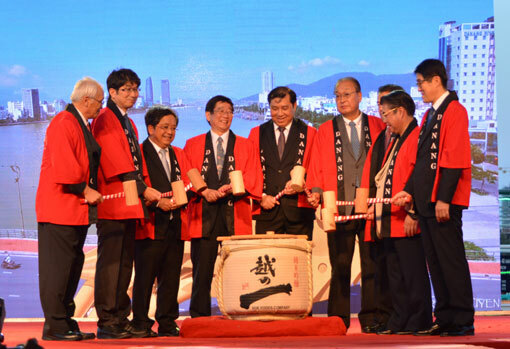 It was the third time that the festival contributed to increase more friendship relation and cooperation between Viet Nam and Japan. It is a chance for Da Nang city to attract photo investment and propaganda to Japan and tourist.